I love cooking Mexican-inspired food at home, and believe there's a great meal to be had by wrapping your celebratory feast up in a tortilla. 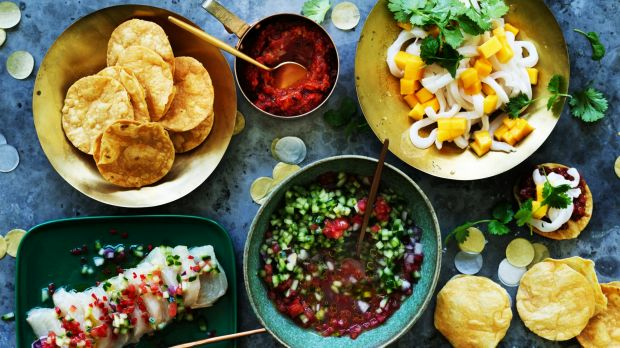 Start with super-fresh seafood tostadas, add salsas and guacamole, and build great tacos by adding shaved cabbage or the charred corn salad. The flavours and seasonings just jump off the plate. Adobo-marinated pork tacos with pineapple and salsa verde. Note: you will need to start this recipe a day ahead. 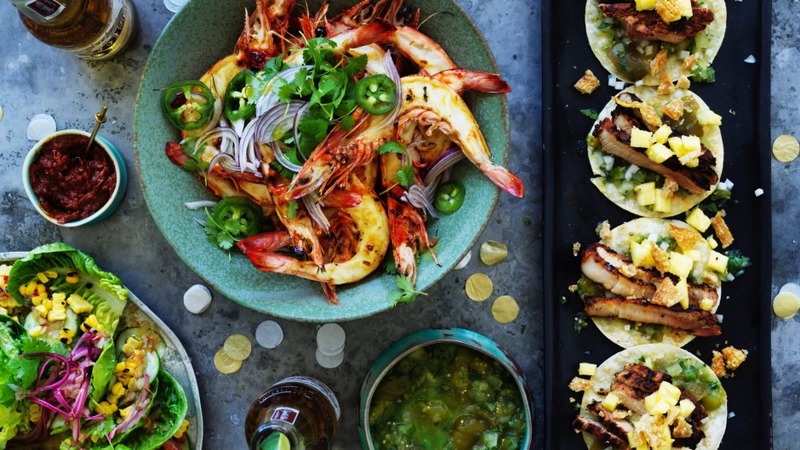 "Drunken" barbecued prawns with mezcal and tomato sauce. 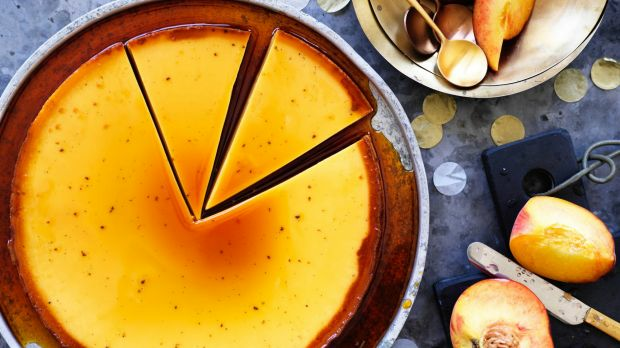 Use whatever fruit you love most with the caramel flan, or perhaps a combination: Australia's fruit is so amazing at this time of year. Note: you will need to start this recipe a day ahead. Tip: Dried chillies and other Mexican-food supplies are available from Fireworks Foods or The Essential Ingredient.